When it comes to eBooks, it seems every piece of hardware has its own “favorite” format. Some use the Palm format (PDB), others use MOBI, while still others prefer EPUB. It is often necessary, because of this, to convert eBooks between formats. If you have just a couple eBooks to convert, 2EPUB.com is a fantastic website that lets you convert up to five different eBooks at a time. If, on the other hand, you need to convert a large number of eBooks all at once, or you simply need more control than 2EPUB.com provides you, then calibre is a great choice. calibre is software (available for Mac, Windows and Linux), that works as an eBook catalog, eBook reader, and more. It can transfer your eBooks to and from your portable device, create news feeds and transfer those, and convert eBooks to and from a wide variety of formats, giving you fine-grained control over the end product. For this example we’ll use just a single eBook, but everything shown can be used when converting multiple eBooks at once. Okay, let’s get started. The first step is to start calibre. 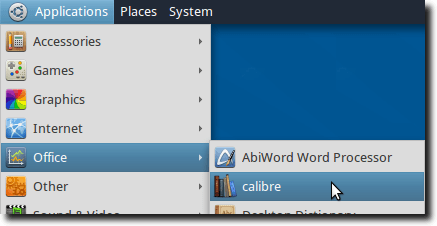 In Linux, calibre is located in the Applications menu, under Office. It will be in your Applications folder on Mac OS X, and in your Start menu on Windows. Once calibre has opened, you’re ready to convert. If the eBook you want to convert isn’t already in your library yet, however, you’ll need to add it first. 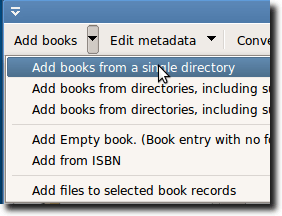 To do this, click the arrow to the right of the Add books option in the toolbar, and choose whichever menu option is appropriate. If you have just a single book, choose that option, but if you’ll be converting many books, choose that instead. Once you’ve done so, the eBook will be added to your library. Now we’re ready to convert. Making sure the eBook you want to convert is highlighted (you can highlight multiple items if you want to convert all of them), go up to the Convert books option in the toolbar and click the little triangle to the right (as before, this will give you a menu). In this instance, we’re choosing the Convert individually option, since we only want to convert the one eBook we have highlighted, and not our entire library. 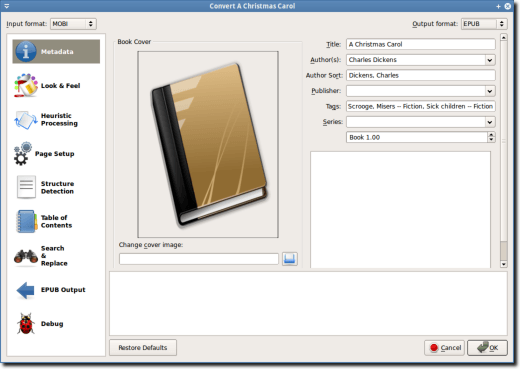 This will bring up the interface for converting eBooks. It’s a huge window, and it doesn’t help the calibre seems to like really large icons (which take up even more space, making the window larger than it truly needs to be). From this interface you can do many things before converting. You can give your eBook a new cover image. You can set the output format. You can also change any metadata you feel needs tweaking. If you were already happy with the formatting of the eBook before the conversion process, but just needed the book in a different format, then all that’s left is to hit the OK button the lower right corner of the window. You’ll get a pop-up notification that calibre has started the conversion process. Finally, when the conversion is complete, you’ll receive another pop-up notification. To find your converted eBook, simply click on the Formats option in the sidebar, click on the format you just converted to, and your book will be there. 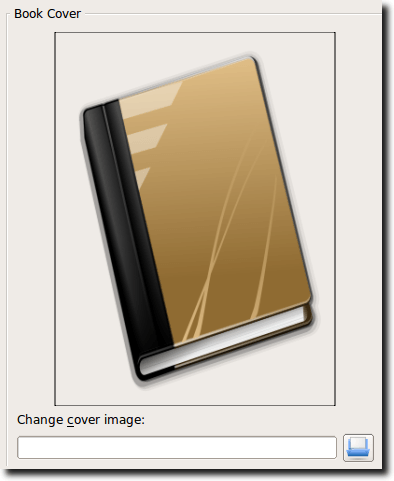 And that’s all there is to converting an eBook from one format to another. Obviously, if you checked out 2EPUB.com, you’ll find that using it for small batches of conversions is a lot quicker. But for converting a large number of books all at once, it’s hard to beat calibre. Note: calibre can do much more than this guide showed, when converting between formats. You can adjust font sizes and margins. 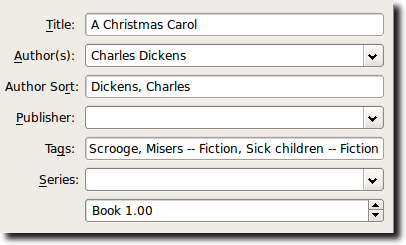 calibre can attempt to automatically fix things such as unwrapped lines, chapter headings that aren’t marked as such. All these are a bit advanced, hence the caveat at the beginning that we are assuming, for this tutorial, that you’re happy with the formatting. If not, calibre can help you there as well, although the learning curve is a bit higher than a simple A > B conversion.